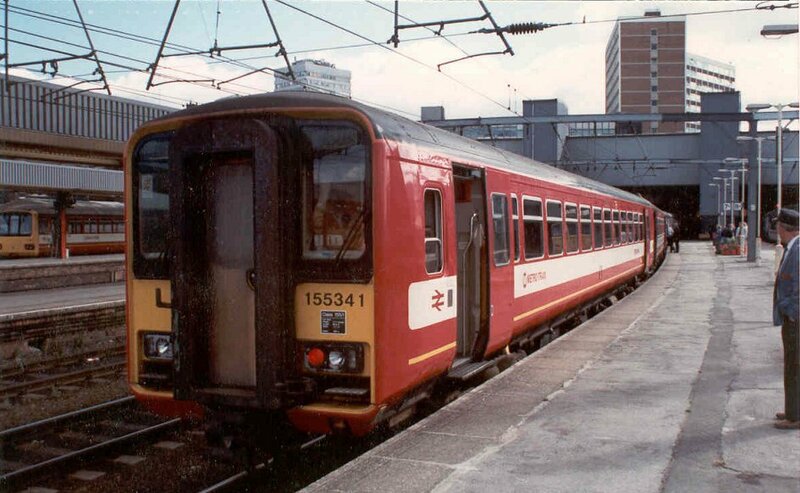 Fitted with Cummins NT855-R5 285HP engines and Voith transmission, these Leyland-built two x 23m long units were (in my opinion) the worst of the modern generation of Sprinters. 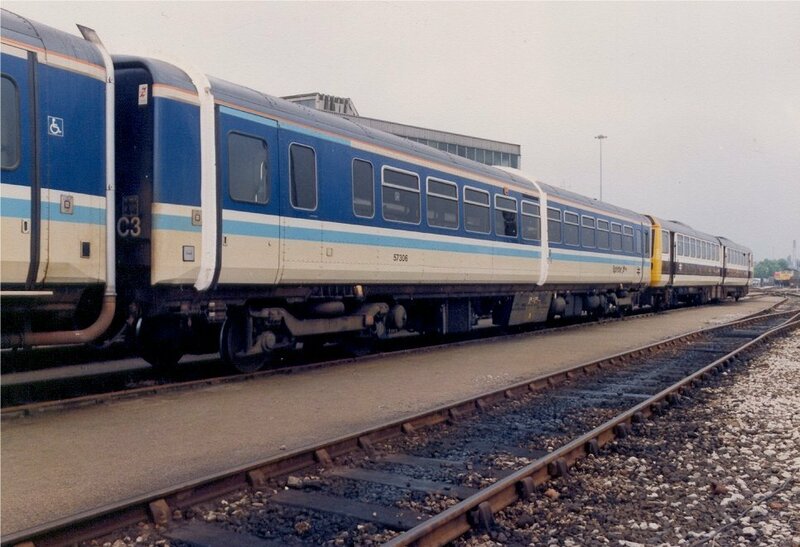 Built by Leyland Bus at Workington and having no prototype to evaluate the units, this was a departure from the practice at the time and they suffered from a number of serious problems, particularly with gauging issues (footsteps) and door troubles. 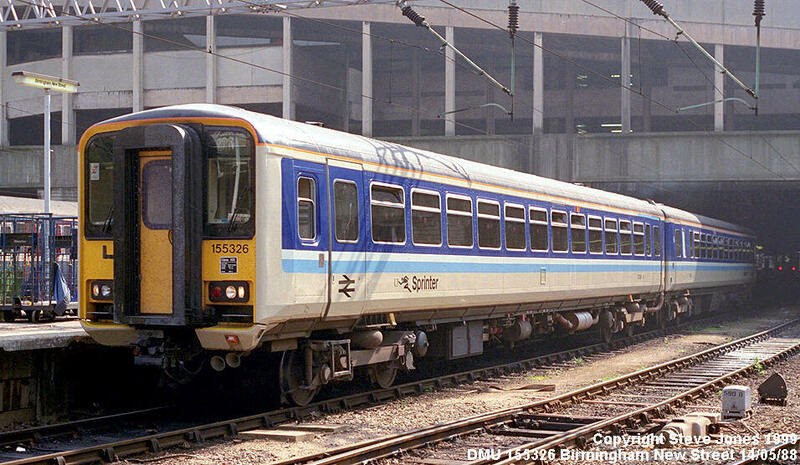 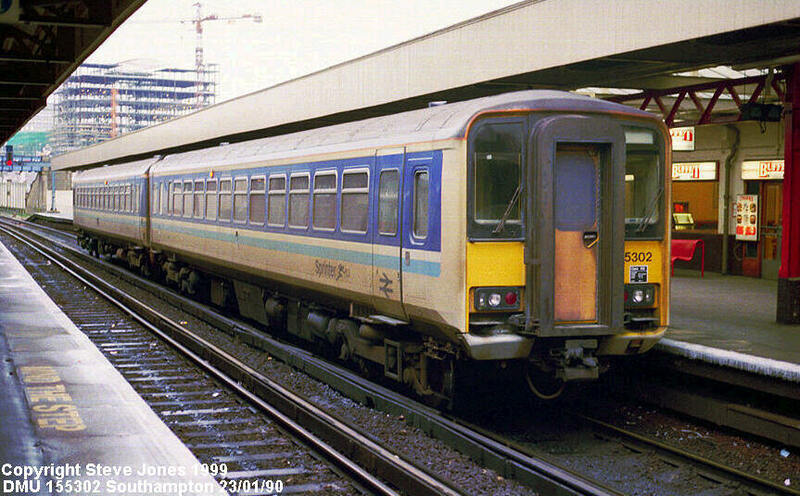 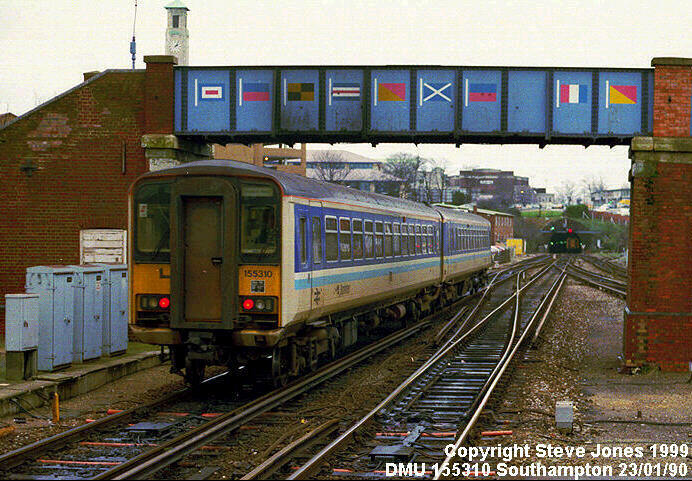 This was borne out by their early conversion to the ubiquitous class 153 single car units or Scuds as they are affectionately known. 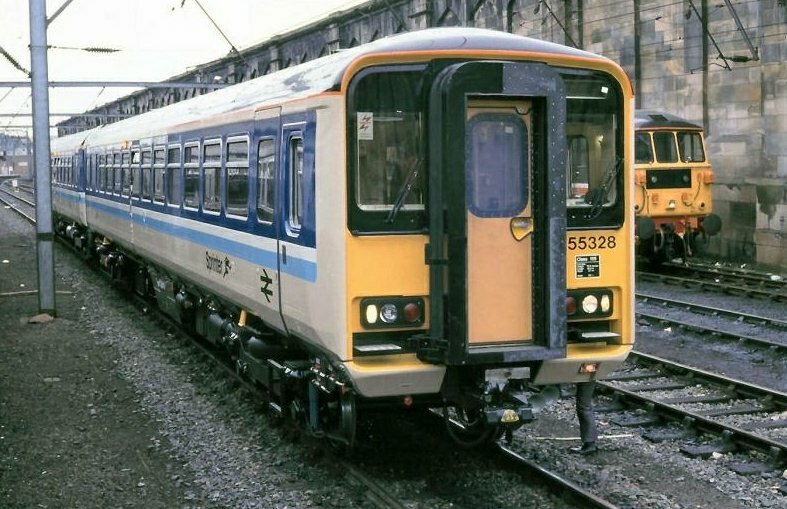 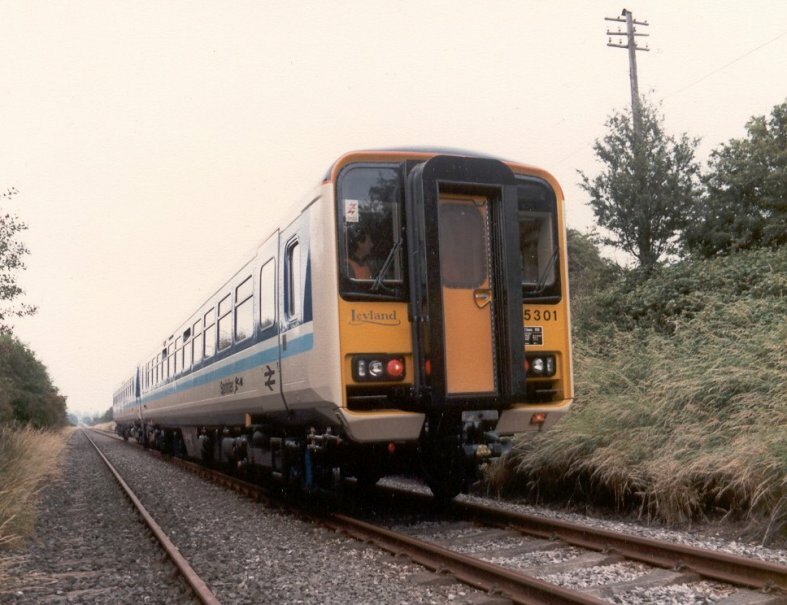 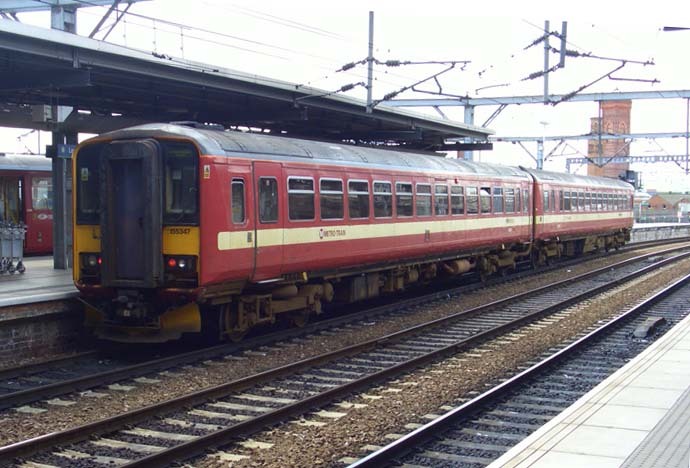 Later in 1988 the West Yorkshire PTE took delivery of seven further two car sets designated as class 155/3's which were also built at Workington and these units were the only ones not to be converted into 153's. 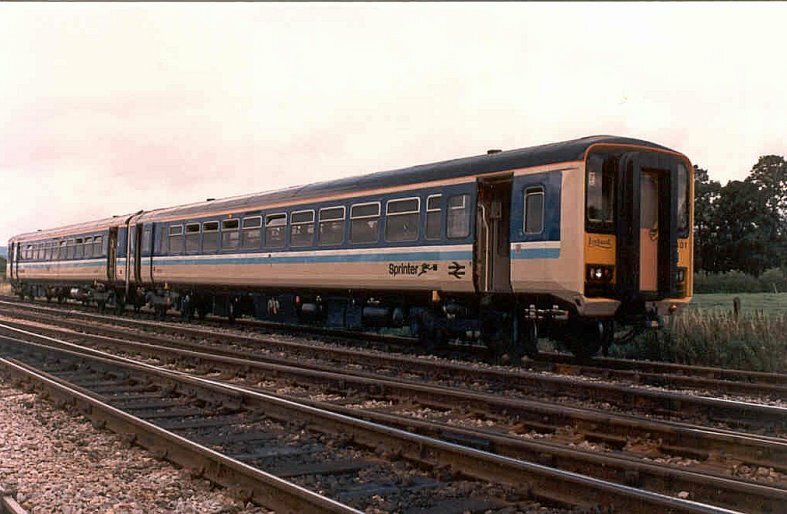 Capable of 75 mile/h with Westinghouse 'Westcode' brakes they had BSI couplers and weighed in at approx. 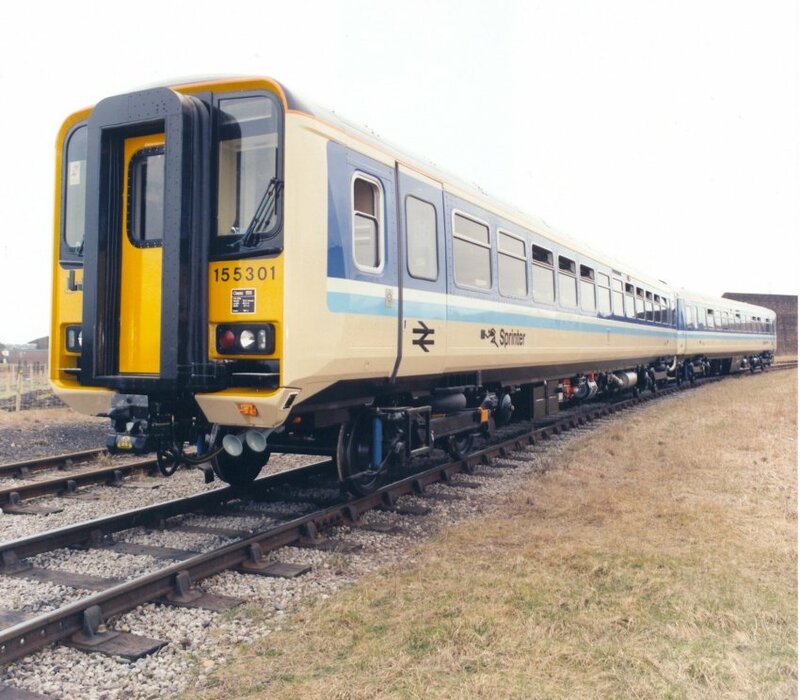 40 tonnes each vehicle. 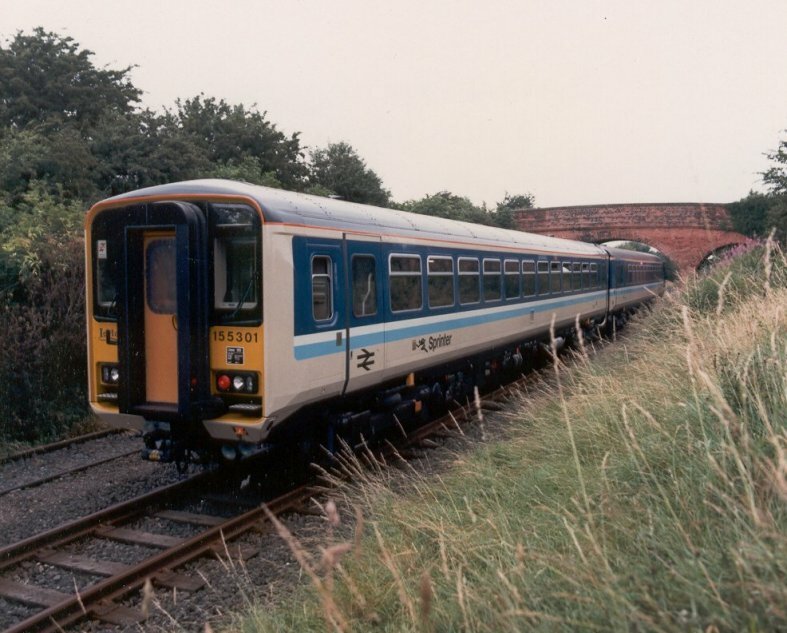 The author spent some time on the type testing of the units which usually were out-and-back trips from the RTC and also at Tyesley depot Birmingham when the units were being commissioned. 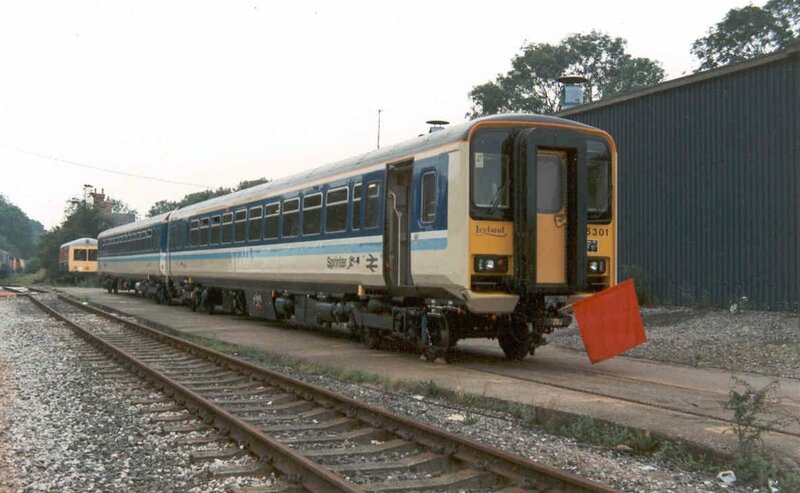 155306 sits in the yard at the RTC in company with a class 142 'Skipper' railbus - destined eventually for Laira depot, Plymouth. 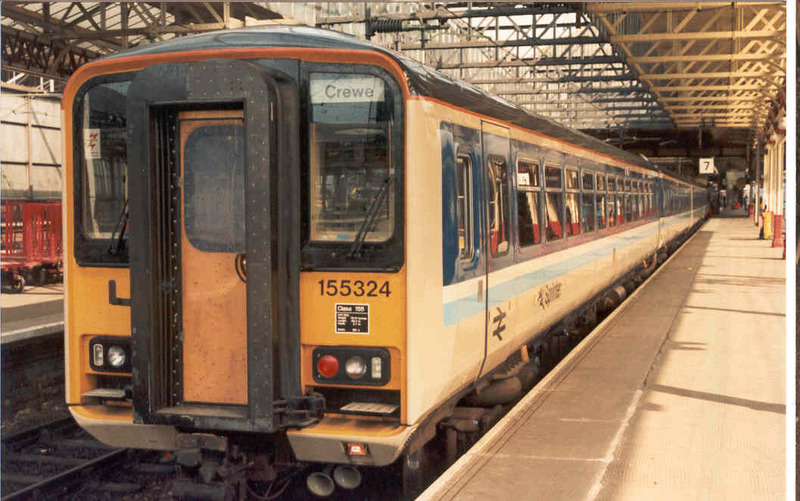 Note the polystyrene on the 155 as an aid to gauge clearance testing - if it got back with some missing then clearances were too tight!